Gerald, born in Beaumont, Texas, started playing alto saxophone at the age of 11. As a freshman at the University of North Texas in Denton, Texas he switched to playing the flute. During his years as an undergraduate at UNT he played with various local bands. Mindful of how unpredictable making a living as a musician could be, he studied business and received his BBA in Administrative Management. It wasn't until moving to San Francisco in 1985 that he began immersing himself in the jazz scene. He started listening to various flutists, from Eric Dolphy, Frank Wess, Herbie Mann, Hubert Laws, to Dave Valentin, Paul Horn, and others. He studied jazz with Jim Grantham, Mel Martin, Brian Pardo, and John Gove, just to name a few. He spent 8 years studying flute at the San Francisco Conservatory of Music under Yada Weber, giving recitals of works by Mozart, Telemann, Gluck, and Ernest Bloch. 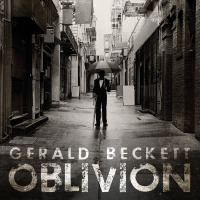 Gerald has played in several venues in and around San Francisco, such as Rassales Jazz Club, Club Jazz Nouveau, Bistro Yoffi’s and the Fillmore Jazz Festival, either as a leader or as a sideman. 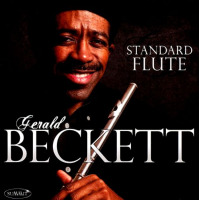 He enjoys featuring the flute on songs that have not been over-played by other flutists, and takes every opportunity to showcase the many facets of the instrument and its uniqueness to the jazz genre.
. It made the Jazz Week Chart Top 50. His second CD, “Traveling West”, released under Summit Records (2004), was on the Jazz Week Charts Top 50 for seven weeks and was submitted to The Grammy’s for nomination consideration in the “Best Jazz Small Group” category. 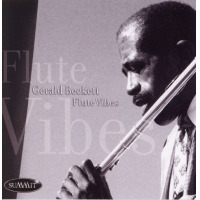 His third CD entitled, FluteVibes, was released Jan 2006 by Summit Records. All About Jazz musician pages are maintained by musicians, publicists and trusted members like you. Interested? 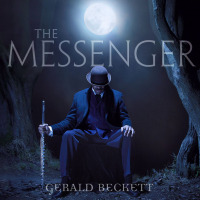 Tell us why you would like to improve the Gerald Beckett musician page.